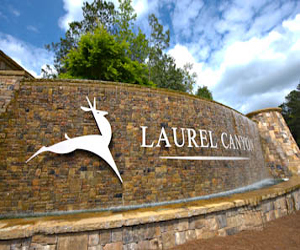 Soleil Laurel Canyon in Canton not only offers an amenity rich lifestyle and many styles of luxurious maintenance-free homes, the active adult community also offers incentives valued up to $38,000. Buyers that purchase homes through March 31, 2012* can choose from an additional built-out storage room above the garage, 50 percent off lot premiums, a free golf cart with one year of golf club membership or design upgrades and customizations. With these unbelievable incentives, now is the time to buy a luxurious home! The built-out storage room incentive is a great option for homebuyers who need extra space. Easily accessible from the garage, the room can be an alternative storage space for those that do not want a basement. For buyers that want to build on homesites overlooking the golf course, lake or woods, they will receive 50 percent off. This incentive allows them to purchase premier homesites at fantastic prices. Soleil’s neighboring golf course, Fairways of Canton, is just a short ride away in their new golf cart. Homebuyers will receive a 12-month membership that includes unlimited golf Monday through Friday. Lastly, the community’s huge Design Gallery is an oasis for upgrading and customizing with over 100,000 decor elements and samples. For buyers that want to turn their new houses into homes, this is the perfect incentive. Soleil’s onsite design consultant, Lisa Szeder, will help them through the process of selecting the ideal interior and exterior finishes. Homebuyers will be able to choose from a variety of flooring, wall colors, cabinetry, lighting, exterior siding and so much more. Their homes will truly represent their lifestyles and distinctive tastes. *Incentives are for new construction only and not purchases of existing homes.